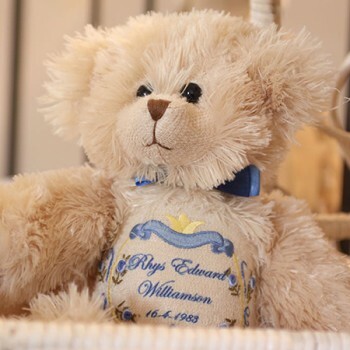 Beautifully hand crafted, our Personalised Teddy Bear named Lily is the perfect gift for baby or for little girl . 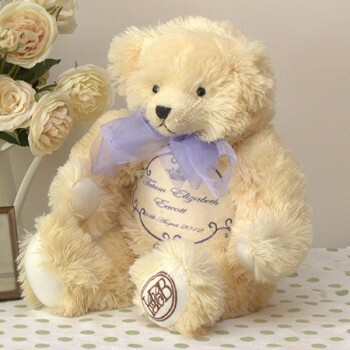 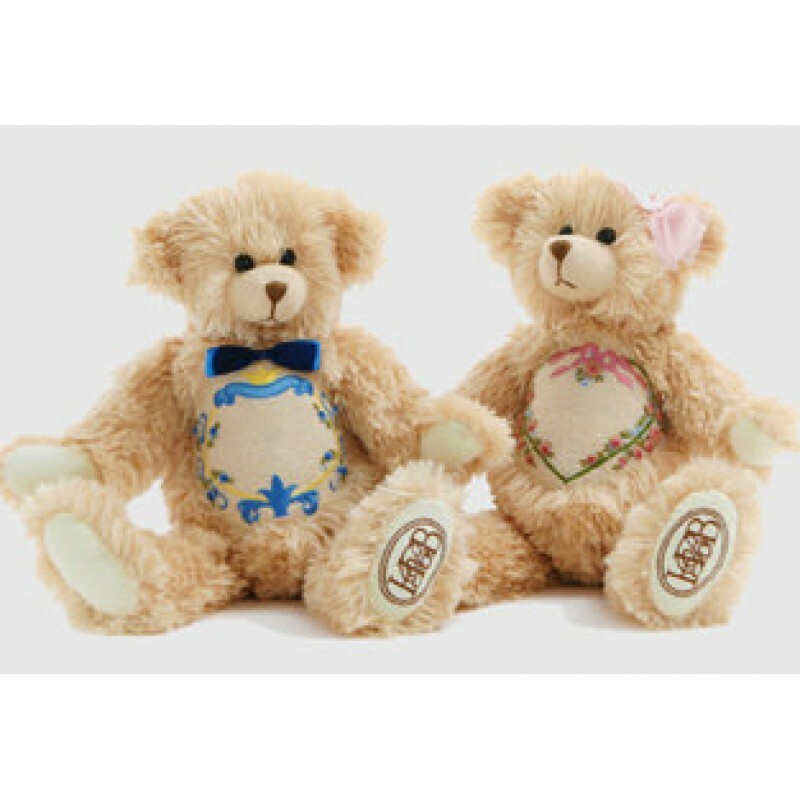 Lily is a 40 cm, jointed, plush bear in a beige colour with embroidered front emblem in pink. 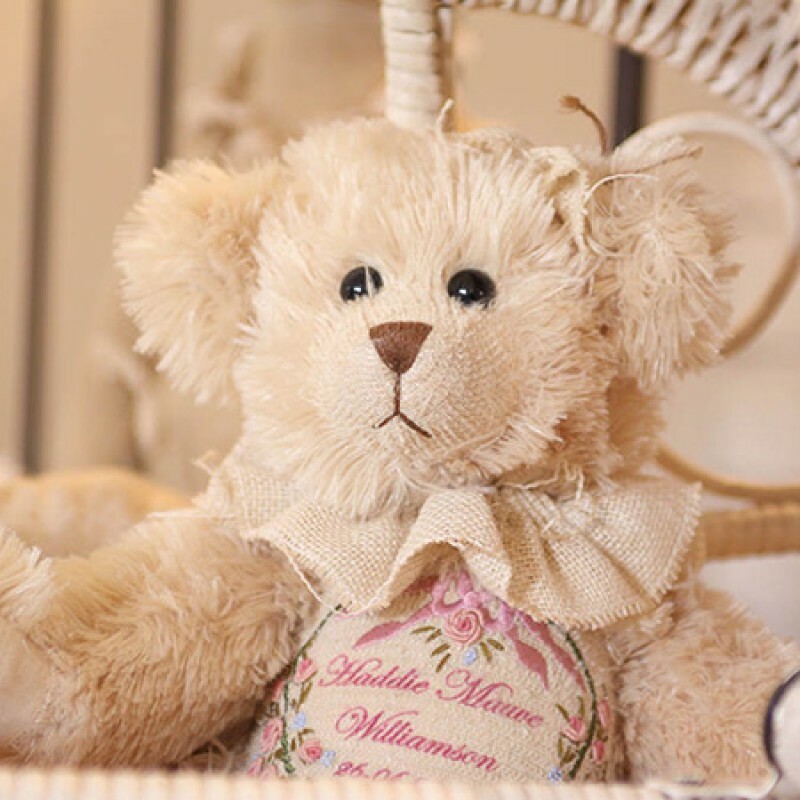 We hand personalise the front with pink french script with a name and date of birth.